Profile - Intercargo Coldstores ApS tilbyder opbevaring af alle former for frosne fødevarer, samt en komplet logstikløsning. 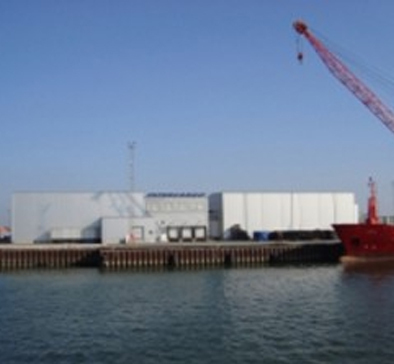 Intercargo Coldstores ApS was established at the port of Esbjerg in 2000 with space for EUR 3500 pallets, and 5 years later it was expanded with space for additional 4000 EUR pallets. Today, we have room for 7500 EUR pallets in our mobile pallet roll, so your items are never "at the back" but is always available. -The key words for our success. ”All in one concept” is the part of the company that tailors a total logistics solution, if desired.